Nathan Hill explores the purchases and stowaways that could end up in a home aquarium â€“ and how they can kill you. This one works on two levels; them eating you and you eating them. 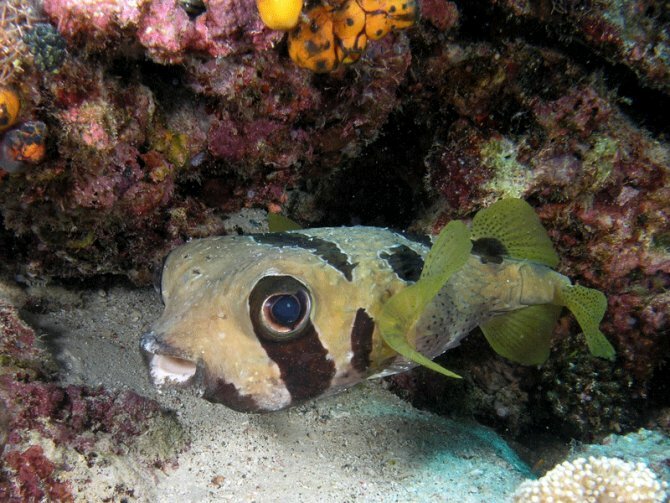 Pufferfish bites, especially those from a large Dog-face, can literally remove most of the flesh from a finger if they get hold of it properly. However, much of the real danger with puffers involves us eating them. Depending on the species, the parts you eat and how much you eat, you can expect to die if you’re quite the glutton. Death after ingestion is nasty, with systematic paralysis, sweating, nausea, respiratory failure, and maybe a coma, assuming you don’t just die first. The chemical that does the damage is called tetrodonotoxin, and is ten times more powerful than potassium cyanide. Cyanide was the chemical that many former Nazis used to commit suicide at the end of the war, which tells us that pufferfish are a far more effective way of killing Nazis, should the need ever arise. Pufferfish is actually a delicacy in some countries, known commercially as fugu, and requiring trained chefs to prepare it. Even so, there are numerous deaths every year from people eating these fish. Not something you can go out and buy, maybe, unless you’ve got the right kind of license. 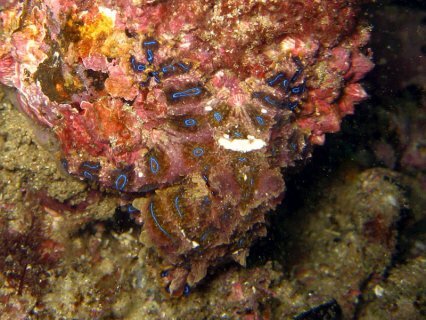 But Blue rings are one of those things that can smuggle their way in on live rock, among the mantis shrimps, bristleworms and other nasties. Get bitten by one and it’s almost certainly game over. There’s no antivenom for a Blue ring bite, so expect complete bodily paralysis and breathing failure within minutes. Cardiac arrest will follow, but only because you’re not breathing. The worst part? You could be conscious when all of this is happening. There’s a story of a German tourist found dead on a beach a while back. Having found no cause of death, coroners eventually discovered a tiny incision on his shoulder – the size of a Blue ring’s beak. The theory is he stuck it there while he tried to rig up a camera for a shot, and the octopus got bored and gave him a nip. The octopus was never found, assumed to have crawled back into the rockpool it came from. Both lumped under the same banner as they’re so closely related, the stonefish – a species quite openly for sale in the UK – is the most venomous fish on the planet. The venom sits in the dorsal spines, and with stonefish it is injected when the fish is stood on. With lionfish, it’s usually poor handling that causes a sting, although there are reports of aquarists leaning over the tank to do maintenance, when the fish gets a fright and jumps straight upwards – into them. Depends on how you react. Expect to be in agony. The alkaline, protein based venom is not a pleasant experience for the human, but can be denatured by heating the affected area to 45°C or more. For a more serious sting, antivenom will be required. Expect extreme local pain, faintness, difficulty in breathing, and maybe even necrosis of the flesh surrounding the sting. A firm favourite in the trade, and my first ever tropical fish, the piranha has a notorious reputation for feasting on unfortunate bathers and south American scientists. Luckily, the hype doesn’t match the facts. They can do huge amounts of damage with those sharp teeth, in a biting movement that looks more like a pair of electric scissors operating than anything else. They literally drill through flesh, before taking away the chunks that they like. However, in an aquarium – and in the wild – biting a human is more likely to be an accident rather than intentional. Stories of frenzied piranha attacking their aquarist owners are more fictional than most fairy tales. Don’t be complacent, though. These fish can make mistakes, and they can hurt you, as many a stitched aquarist can testify. It’s just that the fish won’t sit there, nefariously sizing you up like a bond villain, waiting for its next opportunity to take you down. 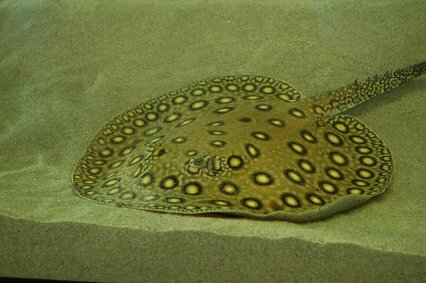 Let’s get one thing clear, stingrays aren’t aggressive, they just don’t tolerate fools very well. Usually content to mind their own business, they lay down in the substrate, with their sharp, barbed hook poised and ready at the base of the tail, and if they get trodden on then they whip that tail up over the top, like a scorpion, and plunge it into whatever is bothering them. It’s sort of like walking up behind someone and tickling them really hard, unexpectedly. They’ll thrash and wriggle, and you shouldn’t be surprised if they swing back and break your nose. With a high profile case still fresh in our minds, we know that marine stingrays can be fatal. However, it’s the freshwater species that notch up more deaths annually, usually as a result of their plunging stings into the abdomens of unwary swimmers in South America. Stringray venom hurts. A mix of muscle contracting serotonin and dissolving enzymes, you should expect muscular seizure, while your tissues degrade from within. A lot of the danger involves the location of the sting, but it’s safe to say that it won’t be a nice experience wherever you get it. Like Blue ring octopus, these are not something you’ll buy intentionally, but could smuggle their way on board a nice chunk of live rock. They’re very attractive molluscs, which tends to draw attention away from their violent and predatory nature. These things are hunters, and they’re armed to the teeth with a sting that reaches quite some way in front of them. This varies from species to species, but interestingly it’s not as painful a death as some of the other creatures here, as the sting itself is a form of analgesic. In the usual format, after feeling various parts of your body stop working, you can expect your breathing to follow suit, and unless you happen to have someone there to do your breathing for you for the next few days, you’re going to die. Don’t think that a pair of rubber gloves is going to stop the sting, either. Divers have been known to provoke these things in the wild – and they do get mighty angry – and have been stung straight through the thickness of their rubber wet suits. They may not look dangerous, but these little snails have already claimed over 30 lives around the world.